I continue to have a problem. I’ve written about the Castlevania games in the context of compulsive completionism before, but in the intervening months I’ve found that my desire for achievements has all but vanished–a fact that can be explained mostly by the construction of a new PC (the first I’ve ever built myself, and the only one I’ve ever had remotely capable of playing new games!). When one’s “permanent record” is distributed over more than one system of merit badges (in my case now, XBox achievements AND Steam achievements), the weight that either one carries is dramatically reduced. Whereas before, I could feasibly delude myself into thinking my XBox history to be a complete record of my interaction with modern games (I was somehow able to rationalize away all of the handheld games I’ve consumed), now this conceit is too far-fetched for even me to consider. So! Cured, right? No more compulsive need to play everything! These are… objectively terrible games. Really, plainly unfit for consideration on anyone’s “to-play” list. Aside from their wickedly awesome early-90’s box art, they’re not good for much at all. And yet I didn’t just sample them– I played them to completion. It took me approximately ninety tries to beat Dracula in Castlevania: The Adventure. What excuse do I have for myself? I guess I don’t. Like I said, I think I have a problem. 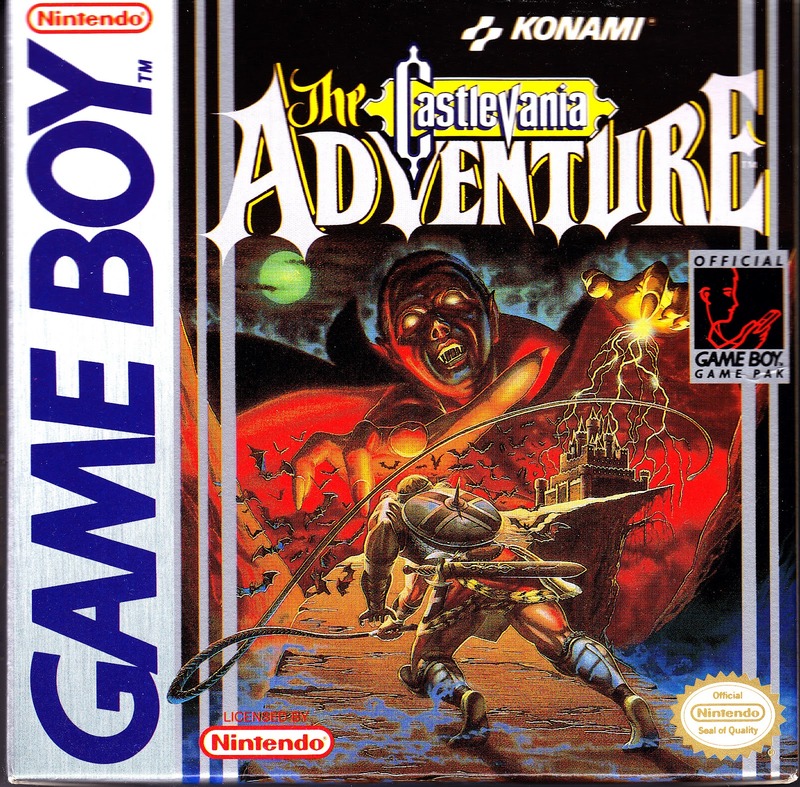 My real mistake, from the outset, was creating a Google Doc titled “Castlevania games I have played” and compiling a list of the entire series (including the Game Boy spin-off Kid Dracula, because, let’s remember, I have a problem). I bolded the games I’d beaten and italicized the games I’d sampled but never played to completion. But instead, what I did was look at the list and think: “Hey, those Game Boy Castlevanias are probably pretty short. I bet I could knock a couple of those out real quick and be that much closer to having played them all.” Then, I invested multiple hours in doing so. Those are hours I’m not going to get back. Castlevania games are not Pokemon. There is no reward for catching them all. Actually, is there a reward for catching all of the Pokemon, besides bragging rights? 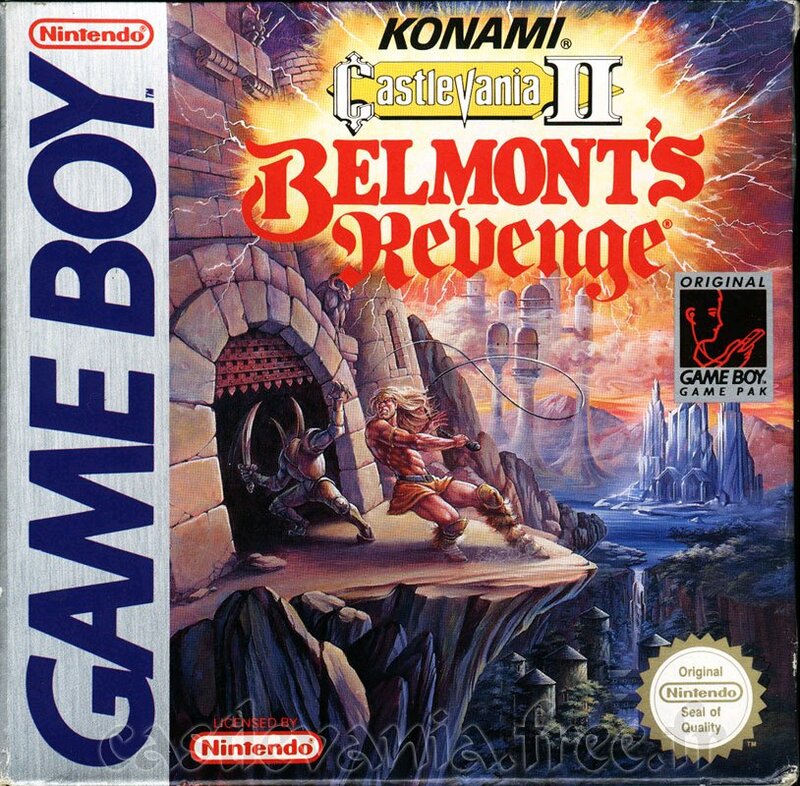 Maybe it’s better to say that Castlevania games aren’t Stars of Destiny. And the worst part of all of this is that I know I have wasted my time, I know I should have done something else. And yet I still feel a twinge of pride at having bolded those two bullet points on my list. Congratulations, Nate. You’ve invested the time to beat two terrible games. Achievement unlocked! Possibly the only thing I can say in my defense is that the remorse at having wasted my time compelled me to drop a couple bucks on Rondo of Blood for the Wii Virtual Console, which is an objectively awesome game and well worth my time (and yours). I tell myself that my desire to play as many games as possible comes from a place of wanting to be “well played,” of wanting to foster an intimate understanding of the medium by attempting to expose myself to as much of it as possible, but I’m not entirely sure that I’ve furthered that ambition by playing these two mediocre platformers from the early 90’s. Maybe it’s possible that we can talk intelligently about games we haven’t played. Maybe I shouldn’t have spent that dollar on Castlevania Puzzle: Encore of the Night for iOS. Go back and play Chrono Trigger, guys. You really should. Now’s as good a time as any. I was listening to a couple friends yesterday talking about the replay value in Chrono Trigger stemming from taking different party members through story sequences in order to see what dialogue they added to the proceedings, and I couldn’t help but furrow my brow. One of the reasons that Chrono Trigger has such high replay value, I suggested, has nothing to do with the multiple endings or the various dialogue possibilities–or anything to do with the story at all. 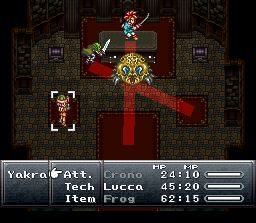 Because Chrono Trigger has such a limited playable cast (seven characters is relatively small when stacked up against, say, Final Fantasy VI, with its fourteen playable characters), it can get away with a detailed and intricate combo system. In fact, probably 80% of the actions you’re going to take in any given battle are techs, unless you (like me) have a perverse insistence on just hammering away at bad guys with physical attacks. Because every different party combination has its own unique set of combo attacks, and because each of these sets of attacks is functionally different (that is, some of them are area-of-effect, some of them attack on a line, some do massive damage to a single enemy, etc. ), every party you take through a given dungeon will have a slightly different way of dealing with the baddies. It’s like playing Mass Effect as a different class–replay value stemming from evaluating gameplay options with a different skillset in each playthrough. Abandoning this template for a more Suikoden-like approach to playable characters was one of the big mistakes that Chrono Cross made, in my opinion, and is one reason that the game is weaker than its predecessor. Without combination techs, the characters become much more interchangeable. I have so many issues with Snake Eater that I probably should hate it. Instead, I have a deep affection for Kojima’s bizarre, talky Cold War saga. I’m certain that I shouldn’t have warm and fuzzy feelings for a game that made me roll my eyes so often and had me cursing at the screen on an hourly basis, but after the credits of MGS3 rolled, all that I seemed to remember were the highlights. Kojima lost me with Sons of Liberty. I’m not alone in this regard. It wasn’t the bait-and-switch that had us playing for 80% of the game as Raiden–I thought that was a bold move, and I have a soft spot for Quinton Flynn (who once voiced Jonny Quest, and would later go on to be Reno in Advent Children and Axel in Kingdom Hearts–who are, let’s face it, pretty much the same character). It wasn’t the fact that the villains went from over-the-top to over-the-over-the-top. (I rather liked Fortune, though I found Vamp less than compelling. I mean, a real vampire? That’s just–Ugh, never mind. Kojima.) It wasn’t even the end of the game, where all semblance of proportion and balance are tossed to the side and you are forced to fight wave after wave of Metal Gear Rays. Okay, maybe it was a little bit of all those things. Mostly it was the La Li Lu Le Lo. I really enjoyed my time with Sons of Liberty. I may even have played through it twice; I can’t recall. When compared with the original Metal Gear Solid, however, which delivered a mostly coherent (though admittedly melodramatic) narrative, the plot of MGS2 was a nightmare labyrinth of absurdity and incoherence. 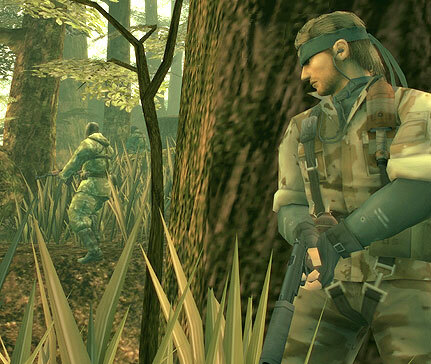 Consequently, when Snake Eater was announced a couple of years later, I was no longer as invested in tactical stealth espionage action, and felt I could give the game a pass. Even when some friends of mine played it and declared it the best in the series, I didn’t feel obliged to give it a go. It was probably a couple of years ago, when I embarked upon my quest to fill in the gaps in my gaming history and become “well played,” that I finally picked up a copy of Snake Eater, and even then it sat on my shelf for a long time. Finally, in a bid to clear out some of the titles in my backlog, I loaded the game up and sat down to play it in earnest. There’s a lot about the game that’s hard to swallow. Perhaps the most vexing element is how vague and wishy-washy the stealth is–there’s been some talk in the gaming community about how stealth is a difficult thing to pull off in a game because of the challenge of presenting complex systems while still clearly communicating information to the player in a way that makes play feel “fair.” Klei’s Mark of the Ninja, in particular, which I haven’t played outside of the demo, has been recently put forward as an example of how well this can be done–though part of what allows Mark of the Ninja to succeed in this regard is a restriction of perspective: in two dimensions, it’s a lot easier to communicate everything that surrounds your player. Snake Eater, on the other hand, feels more akin to another recent offering: Assassin’s Creed III. Though I’ve been effusive in my love for Ubisoft’s latest entry into its series of historical murder simulators, I’ll be the first to admit that the game often asks you to do things without being seen and then proceeds to deny you critical, need-to-know information. The result is that you are often seen by bad guys and immediately forced to murder dozens of men. This happens a lot in Snake Eater. 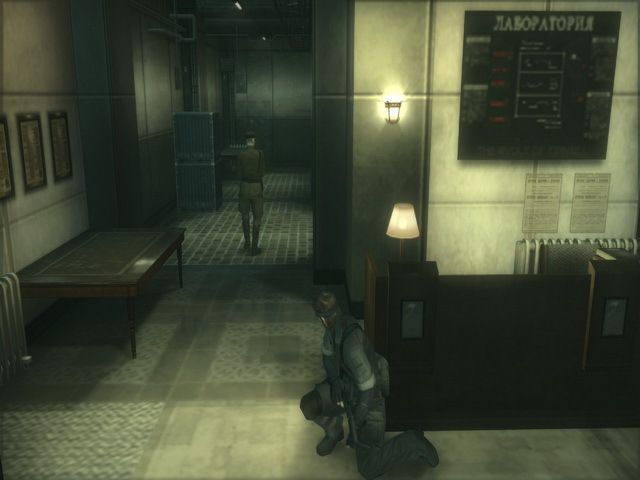 Kojima’s team at Konami made the decision to remove the radar that served, in the first two MGS titles, as your best means of evaluating which actions would result in you being discovered. Instead, you’re given a handful of other tools that provide you with incomplete information–the locations of moving enemies (but not their field of view), the location of all living organisms (in a way that gives away your position), your relative proximity to bad guys (but not their location)–and the result is that sneaking involves an absurd amount of guesswork. This is mitigated by the inclusion of the camouflage system, which allows you to change your clothes and receive bonuses to your stealth–but even this system doesn’t give you discrete information on which you can act. Sure, I know that being 50% camouflaged is better than being 35% camouflaged, but what am I supposed to DO with that info? Not once in the game did my camouflage allow me to change my strategy and act with confidence and certitude. Instead, I had to make do with vague assurance that I was in a better position for having hopped into the menu and changed my equipment. Maybe. Did that guy see me? Damn! I thought I was 80% camouflaged! How close can I GET to a guy who can see 20% of me without alerting him? 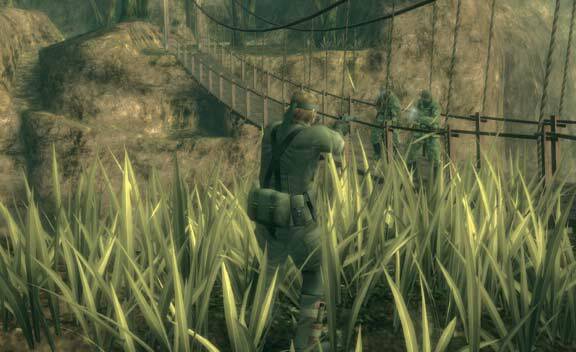 I did a lot less sneaking in MGS3 than I did in either of its predecessors. I did a lot more judo. I’ll happily admit that using the Close Quarters Combat system feels delightful. Throwing a guy to the floor is immensely satisfying. It was a little weird that the most viable strategy often seemed to be charging a guard who was filling me with AK47 rounds and knocking him out with kung fu. Unfortunately, the result of the loosey-goosey stealth in the game is that a lot of the environments either feel too full or too empty. One of the final areas, a giant warehouse in which you must plant a number of explosives on fuel tanks, felt so empty that it wasn’t a challenge. In areas with lots of enemies, it’s impossible to make your way through without being noticed and being forced to kill a bunch of dudes. In areas without many enemies, one doesn’t feel as though much is being asked of them. I kept wishing, throughout the game, that there would be areas chock full of baddies that I was able to navigate without ever sounding the alarm. I don’t think that ever happened. Part of my frustration stems from the combination of overheard perspective and first-person shooting. Jumping back to a nearly ten-year-old game from an era of over-the-shoulder shooters, I found being forced to move in one camera position and shoot in another (a system which felt liberating and empowering when it was first introduced in Sons of Liberty!) jarring and uncomfortable. Likewise, gathering information about your environment in the first person and then popping back to the overhead camera in order to move is a very disorienting business. And those are just gameplay elements. The narrative, well… The narrative is just as absurd as a story told by Hideo Kojima has always been. There’s some gratuitous sexuality, fetishization of weaponry, and plenty of long, (theoretically) meaningful glances between characters in which not much is really communicated. The plot doesn’t run completely off the rails in the same way as the plot of Sons of Liberty, but there are still a dozen times when characters improbably monologue about Cold War politics and half-baked philosophy for the benefit(?) of the player and not the other characters. One doesn’t expect a narrative about a walking, nuclear-capable supertank to be particularly grounded, but come on. And yet–and yet. I forgive it. I acknowledge the weaknesses, the absurdities, the broken elements, and I set them aside and love the game anyway. Why? Why, when a game has frustrated me and made me roll my eyes, when I am frequently kicked out of the narrative by the producer’s bizarre predilections, do I still think of my time with it fondly? I think, probably, it’s because of how clearly Kojima loves what he’s doing, and how clearly it shows in every aspect of the game. The dude loves the characters he’s created, and he wants us to love them too. He loves dramatic showdowns, and he packs his game full of absurd, awesome boss fights. He loves pop culture and a good laugh, and so there are dozens and dozens of conversations Snake can have over the codec that are patently absurd. Kojima loves self-reference, and breaks the fourth wall often to wink at his audience and remind us that we should be having fun; after all, it’s just a game. So what did I take away from Snake Eater? I remember the first time I did kung fu on a guy. I remember each time I ate a python and Snake’s comments about how delicious they were. I remember the sniper duel with The End. I remember eating glowing mushrooms to restore my batteries. I remember Snake revealing to Para-Medic that he was terrified of vampires, and Major Zero’s indignation upon learning that Snake wasn’t a fan of James Bond. I remember how many times we got to laugh at how much of a dork Revolver Ocelot is, and how he turned out to be pretty cool when all was said and done. I remember the fight with The Boss. So, nine years out from its release, is it worth it to go back and revisit Metal Gear Solid 3? It depends, in large part, on your ability to forgive a game for its faults. 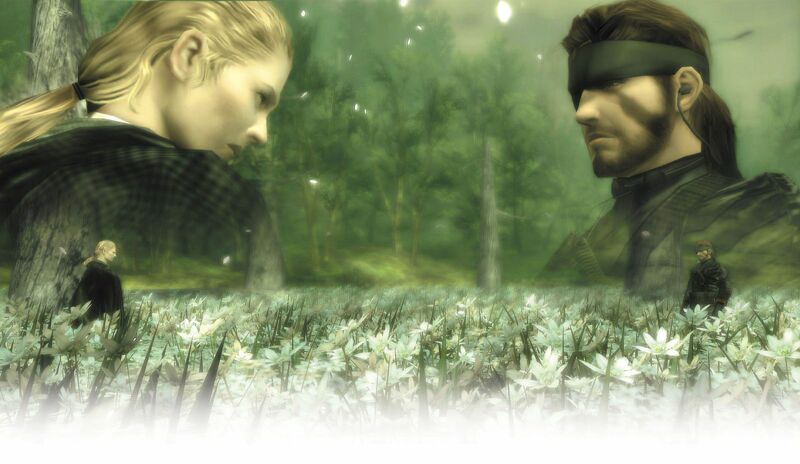 There are parts of Snake Eater that feel old and creaky as it approaches its tenth anniversary, and Kojima’s rambly melodrama has always been an acquired taste. But the game is a labor of love, and if you can pick up a controller and feel that love, well… it’s hard to step into the shoes of Naked Snake and not feel like a badass, even when the game conspires in so many ways to undermine it. And when you get to that final showdown in the field of flowers, it’s a hardened gamer indeed that won’t be thrilled. Who’s excited for the impending DuckTales remaster? Hands in the air. Everyone’s hand should be in the air right now. What’s wrong with you people? I had the opportunity to fool around with WayForward’s remake at PAX East, and I’m fairly confident that Scrooge is in good hands–it feels pretty much identical to the original, and the new visual flair that they’ve laid overtop the old mechanics doesn’t distract much from the exceptionally solid platforming that was the hallmark of the NES classic. I don’t think we’ve got another “Turtles in Time: Reshelled” situation on our hands, is what I’m saying. One of the things that I’m most curious about with the remake is how WayForward is going to treat the original’s exceptional music. The Penny Arcade Report mentioned in its announcement that Yoshihiro Sakaguchi’s music was not going to be “replaced,” but rather “updated.” As someone who has a deep and abiding love for chiptunes, I would be quite content to have the game’s soundtrack be completely unaltered, but as someone who also has a healthy dedication to the archives over at OCRemix, I’m open to the idea of new takes on old favorites. The music to DuckTales isn’t just nostalgia-inducing, it’s legitimately great. I’ve argued before that the Moon Theme is the pinnacle of all human musical achievement, and it’s an argument I stand by. Here, have a listen. What will the updated version of the Moon Theme sound like? Could it possibly be altered and still retain its supremacy over all other musical endeavor? Fairly funky, no? Might WayForward, then, choose to update in a similar manner to The One-Ups, who busted out some superb sax in their rendition of the tune? Listen to that sax! The One-Ups sure know what they’re doing, don’t they? I’ve got my fingers crossed that whatever happens to the music in DuckTales, it captures the spirit of the original pieces in much the same manner as the arrangements I’ve highlighted. But y’know, as excited as I am to team up with Scrooge McDuck again, I can’t help but be a little forlorn. 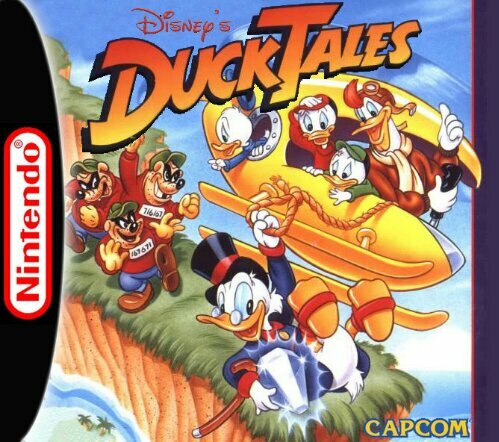 See, this is my shameful secret: as much as I love DuckTales, as much as I continue to believe that the Moon Theme is a perfect expression of musical brilliance, as much as I have dreams of one day swimming in a money bin full of coins myself, there yet remains a classic Capcom platformer that I think is tragically overlooked, that deserves more love, that is even more chock full of chiptune goodness. It’s a game that I think deserves to be remade even more than DuckTales. What is it, you ask? What is this pinnacle of perfection, this paragon of playability? Yes! Scrooge had a second outing on the NES, and it was every bit as fine-tuned and brilliantly balanced as the first. Maybe even more so. It gets overlooked, often, because it came out in ’93, at the twilight of the NES’s life cycle. Admittedly, it didn’t improve on the formula much, but when your source material is as brilliant as DuckTales, you don’t really need to. It may be a madman’s hope, but all I want is for the sales of the DuckTales Remaster to be so overwhelming that Capcom remembers the lonely, forgotten sequel to its masterpiece and finds it in its heart to gussy it up and trot it out just like they’re doing for its big brother. Now that Bioshock Infinite is finally here, I’ve had Bioshock on the brain. 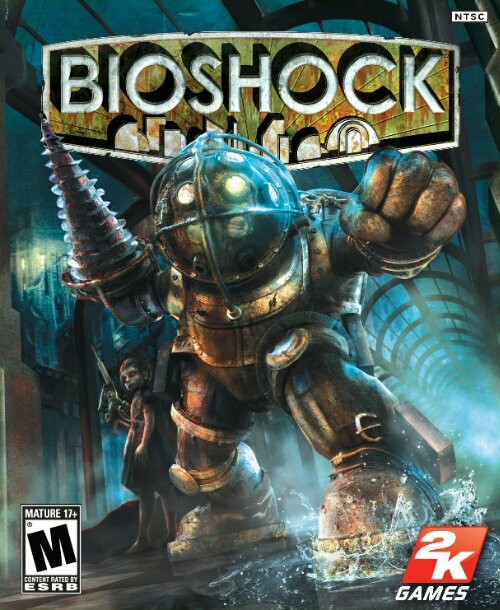 Not wanting to spoil anything about Irrational’s latest, I’ll save talking about it for later, but it seemed as good a time as any to do a little reminiscing about the original Bioshock, which is unquestionably one of the best games of all time. It’s been dissected and analyzed in eighty-million different ways, but I thought that I’d try a simpler take on it. Much simpler. To that end, I’ve made an attempt at explaining the plot of the original Bioshock using Randall Munroe’s “Up-Goer Five” linguistic limitation: explaining something complicated using only the “ten hundred” most common words in the English language. This was done with the aid of Theo Sanderson’s “Up-Goer Five Text Editor,” which I highly recommend you play around with. (It’s worth noting that this post spoils the entirety of the plot of Bioshock, albeit in somewhat obfuscated language.) —————————————– In the game, the player takes on the person of a no-name guy who is in a flying sky car that falls into the middle of the big water. In the middle of the big water, the player finds themselves near a light house which offers their only means of getting saved. Inside of the building they find a one-person under water car which takes them to the Best City, a place under the waves. The player learns that the Best City was built by a Man of Ideas who wanted to escape from the up-on-top world. The Best City is amazing and pretty, but dark and something is wrong. It quickly becomes clear that not everything in the Best City is as it should be, and the player almost gets killed at the hands of mean angry guys who are not quite human. The player escapes thanks to a strange voice on the talking help box. Help Box Guy explains to the player that things in the Best City have gone bad and he needs help for his family. Talking Help Box Guy shows the player through different little towns of the Best City, and the player meets and fights many bad things and mean people, none the least of which are the very bad “Big Dads,” tall and big men with lit heads and sometimes guns which follow and help and sometimes fight for “Little Sisters,” small, once-human girls who now act to find and take the thing that allows people to change and make better their own self-making living stuff. When the player finally gets to the under water car that holds the family of Talking Help Box Guy, the bad friends of Idea Man blow it up as the player watches, and a really mad Talking Box Guy explains that the only means left to escape the Best City is through the Man of Ideas. The player sets off to walk quietly into the house of the Idea Man, along the way learning more about the story of the Best City: the Man of Ideas, a business guy, grew mad at the ideas of important people in the up-on-top world who wanted him to always share and give, and so he decided to build the Best City to be his own idea of a perfect world. He asked people who ran businesses, people who thought deep things, and people who made art to share in his perfect city, a place where they would not be told what to do by the big people of the up-on-top world, where they would be free to make better their big thinking until it was as good as it could be. It becomes clear to the player, however, that even in a perfect city, someone has to worry about cleaning work and other hard things to do, and bad and dark thoughts between the people begin to grow in the city. These bad thoughts are made worse by the coming of a man who wants to use other people, who sees the chance to use the people of the Perfect City to his own ends. Soon the business of trying to make a perfect world changes in a bad way into class fighting, fighting against the Idea Man, and in the end, everyone fighting everyone. Most people die. When the player finally reaches the Idea Man, they learn that they are not the free player that they had thought they were, and they have been used by a person they could not see. The Idea Man drives the point home by offering the player a means to kill him and asking them to try and stop listening to the orders of the one who makes them do things. He does this with his now well-known line: “A man picks one thing or another. A person owned by another person does what that other person says.” The player finds that whether they want to or not, they have to kill the Idea Man by beating him to death. Having gotten what he wanted, Talking Help Box Guy shows himself to be none other than the Man Who Uses People, and explains that he has been using the player to get control of the Best City for himself. After thanking the player for their help, the Man Who Uses People orders his friends to kill the player, who is saved, however, by a woman who has been caring for and making better again the Little Sisters that the player has helped. With the help of the Woman Who Saves Little Girls, the player finds a way to break free of the Man Who Uses People’s mind control and fight him. In the end, the player must turn themselves into a Big Dad in order to fight. In a last big fight, the player beats the Man Who Uses People and, with the help of the Little Sisters, escapes the Best City to find a new life in the world above.